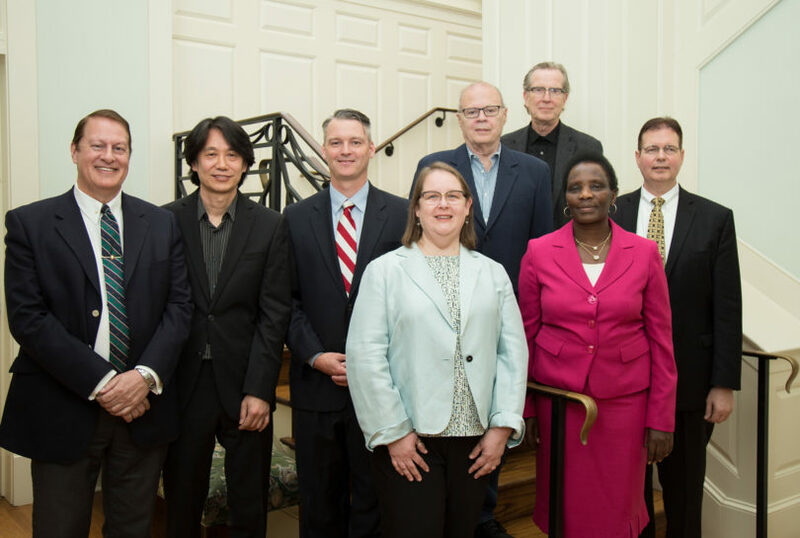 Athens, Ga. – The University of Georgia Office of International Education honored seven UGA faculty and staff members at its annual International Education Awards Reception, held April 7 at the State Botanical Garden in Athens. Chepyator-Thomson’s teaching, research and service activities illustrate her passion for internationalizing the university. She founded and directs the annual Global Education Forum, hosted by UGA and now in its 10th year, whose mission is to promote cross-cultural understanding in a global context. The conference attracts internationally renowned scholars to UGA, and brings together faculty and students across disciplines and cultures to focus on a scholarly theme based in diversity and global development. Open dialogue on issues of race, social inequality and gender are encouraged during the conference. Additionally, she has developed kinesiology courses emphasizing globalism and diversity, and leads a study abroad program in her native Kenya. Chepyator-Thomson’s research and publications are focused almost entirely on globalism and diversity, such as multiculturalism in teacher training for physical education, and African and global issues related to-and the interplay of race, gender and ethnicity in-physical activity and sport. She has received a number of awards for her globally focused activities, including national awards from other universities and organizations. Kissinger was instrumental in establishing the Institute of Bioinformatics at UGA and has developed a network of international research and training programs to the benefit of students at UGA and abroad. In addition to collaborating on a massive genomics database, EuPathDB, with researchers in the U.S., U.K., Brazil and other countries, Kissinger has held training workshops abroad for STEM-focused graduate students in 15 countries, including Brazil, Canada, China, India, Morocco, Nigeria, Portugal and Taiwan. She also brings doctoral students to the U.S. for formal training in her lab to assist them in their research goals. Frequently these goals include training in state-of-the-art techniques to address specific health issues in the students’ native countries. In addition to sustaining international grant funding for her research, training and bioinformatics projects, Kissinger serves as a Scientific Working Group member for the NIH’s West African International Centers of Excellence for Malaria Research. Her efforts have increased the international visibility and reputation of UGA and have resulted in successful international research collaborations. Kohn was selected for his leadership in establishing and directing two of the most popular study abroad programs run by the Grady College: the Cannes Film Festival study abroad program, which is one-of-a-kind nationally and has been running for more than a decade; and the UGA Cannes Lions Festival of Creativity study abroad program. Through these two programs, he has provided UGA students with unique opportunities to engage with filmmakers, producers, directors, advertising executives and media directors from nearly every country, while also gaining rich cultural exposure.